In his early career, zoologist and geneticist Thomas H Morgan argued against Charles Darwin's theory of natural selection, and published a paper arguing that specific hereditary traits could not be carried on a single chromosome. He changed his mind when he began studying inherited traits among the small fruit fly Drosophila melanogaster. Breeding the bugs by the millions in his "fly room" at Columbia University, he kept detailed files on their physical similarities, differences, and mutations. From these patterns, he theorized a linear arrangement of genes in the fruit flies' chromosomes, and surmised in his famous book Mechanism of Mendelian Heredity that chromosomes are responsible for identifiable, hereditary traits. 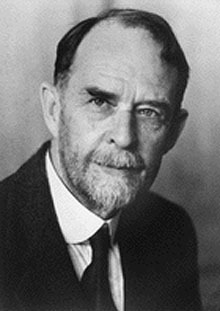 His work helped clarify the mysteries of evolution, formed the modern understanding of heredity, and won Morgan the 1933 Nobel Prize in Physiology or Medicine. He married Lilian Vaughan Sampson, a pioneering geneticist in her own right. She authored sixteen scientific papers and discovered the attached X and closed X chromosomes in fruit flies. Morgan's maternal great-grandfather was Francis Scott Key, author of "The Star-Spangled Banner". On his father's side, his uncle, John Hunt Morgan, was a Confederate General in the Civil War, and the namesake of Morgan's Raid, where, in 1863, he led the South's farthest incursion into the North, into Kentucky, Indiana, and Ohio. His great-grandfather was Charlton Hunt, the first Mayor of Lexington, and his great-great-grandfather was John Wesley Hunt, one of that city's founders.